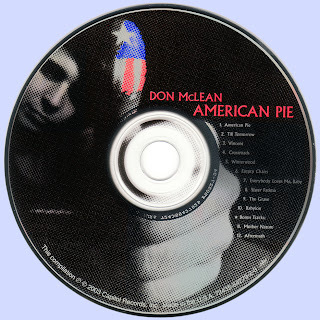 Don McLean's second album, American Pie, which was his first to gain recognition after the negligible initial sales of 1970's Tapestry, is necessarily dominated by its title track, a lengthy, allegorical history of rock & roll, because it became an unlikely hit, topping the singles chart and putting the LP at number one as well. "American Pie" has remained as much a cultural touchstone as a song, sung by everyone from Garth Brooks to Madonna, its title borrowed for a pair of smutty teen comedies, while the record itself has earned a registered three-million plays on U.S. radio stations. There may not be much more to note about it, then, except perhaps that even without a crib sheet to identify who's who, the song can still be enjoyed for its engaging melody and singable chorus, which may have more to do with its success than anything else. Of course, the album also included "Vincent," McLean's paean to Van Gogh, which has been played two-million times. Nothing else on the album is as effective as the hits, but the other eight original songs range from sensitive fare like "Till Tomorrow" to the sarcastic, uptempo "Everybody Loves Me, Baby." 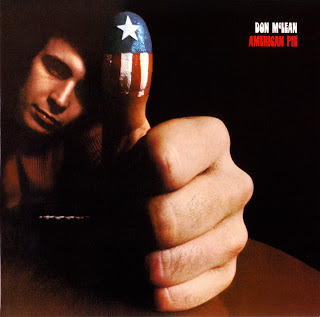 American Pie -- the album -- is very much a record of its time; it is imbued with the vague depression of the early '70s that infected the population and found expression in the works of singer/songwriters. "American Pie" -- the song -- is really a criticism of what happened in popular music in the '60s, and "Vincent" sympathizes with Van Gogh's suicide as a sane comment on an insane world. "Crossroads" and "Empty Chairs" are personal reflections full of regret and despondency, with the love song "Winterwood" providing the only respite. In the album's second half, the songs get more portentous, tracing society's ills into war and spiritual troubles in "The Grave" and "Sister Fatima." The songs are made all the more poignant by the stately folk-pop arrangements and McLean's clear, direct tenor. It was that voice, equally effective on remakes of pop oldies, that was his salvation when he proved unable to match the songwriting standard set on Tapestry and this collection. But then, the album has an overall elegiac quality that makes it sound like a final statement. After all, if the music has died, what else is there to say? Dead links here, I would like to report.